Armed with the 25th and 47th picks in 2018 NBA Draft, the Los Angeles Lakers welcomed their second sextet of draft prospects to the UCLA Health Training Center on Wednesday, after hosting Keita Bates-Diop, Udoka Azubuike, Caleb Martin, Rob Gray, Jalen Hudson, and Jo Lual-Acuil, Jr. at the facility on Monday. The Lakers allowed the media in for the tail end of the workout, beginning with around the world 3-point shooting, from both corners, both wings, and at the top of the key. Allonzo Trier was paired with Cody Martin, Shake Milton was paired with Chimezie Metu, and D.J. Hogg was paired with Lindell Wigginton. Milton was the star of this portion of the workout, demonstrating a quick, repeatable shooting stroke, although the set point on his jumper was a bit low. The workout concluded with the “Lakers Mentality Drill”, which is akin to the suicide drills that your high school coach made you run…except at the end of an exhausting workout where you also have to make shots. They went two at a time, starting on the baseline on the two, separate full courts in the gym. They’d have to dribble from one end and make a layup, then back to the other end to do the same. The next time down, they’d shoot a pull-up jumper at the free throw line on both ends, before doing the same from the 3-point line on the next rotation. They repeated this circuit for 90 seconds, and if they missed, they’d have to grab their own rebound, which could travel a long way in this spacious facility. Trier won this drill, scoring 22 points. 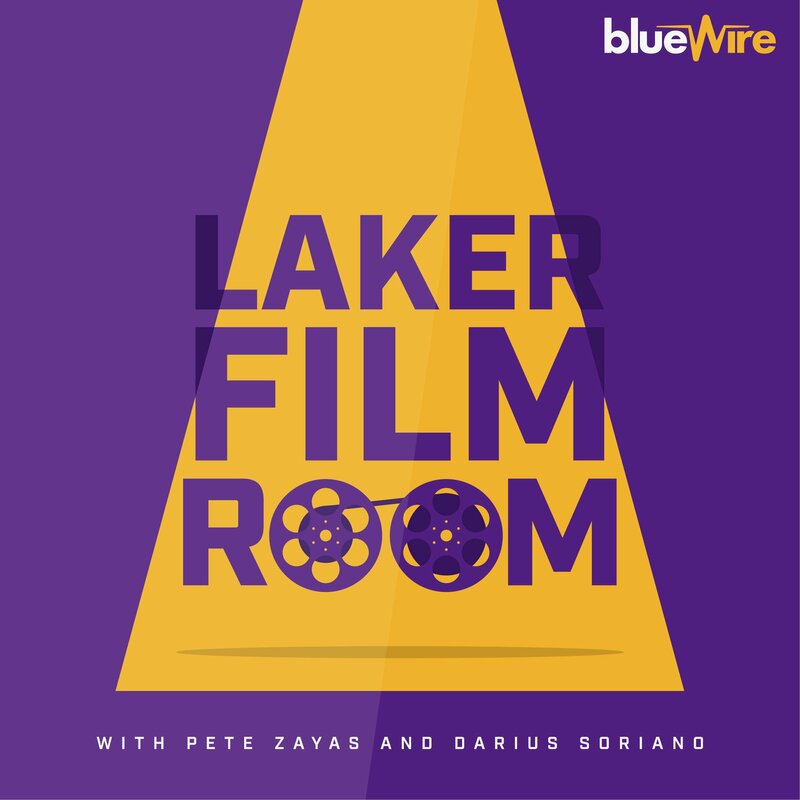 “We heard Rob (Pelinka) talk at the end, and he was talking about how it’s about who’s gonna be able to take that tough, 4th quarter, late shot clock shot after you’ve already played a whole game and you’re pretty tired. Who’s gonna be able into their legs and knock down the shot.”, Milton said of this drill in the post-workout interview. Milton (21 years old, 6’6″, 205 lbs, 6’11” wingspan) handled many of the point guard responsibilities for SMU last season, making him an intriguing combination of size and playmaking ability. His best NBA skill, however, may be as a 3-point sniper. Milton shot over 42% from distance in each of his 3 seasons, and increased his free throw percentage (often a better predictor of 3-point success in the NBA) to 84.7% last year. This versatility is something that Milton prides himself on. “The way the NBA game is moving nowadays, it’s pretty much positionless basketball, so as long as you’re out there and you have a high IQ for the game and you know how to play you have a spot, and I think that’s how I fit in.”, Milton said. The Lakers have let prospects know in no uncertain terms that they are building a defensive culture, and Milton’s more of a question mark on that end, despite some potential as a multi-positional defender. This, along with a lack of – well, shake off of the dribble – may lead to him falling into the late first or even the second round, but he has a rare combination of size, shooting, and ball-handling ability, which are many of the attributes that drew the Lakers to Kyle Kuzma last year. Metu (21 years old, 6’10, 220 lbs, 6’11” wingspan) is an LA kid (Lawndale HS) who moved a few miles up the 110 freeway to become a stabilizing force for the USC Trojans over the course of his 3-year career. While his offensive skillset is relatively raw, he fits the mold of the modern, mobile 5 who can roll hard to the rim while finishing above it. Despite some tools to work with on offense, his calling card is on the defensive end. He was a quality rim protector at USC, but feels like he show another aspect to his game on the next level. “I think at SC I didn’t really get a chance to show that I can guard people on the perimeter, so I’m just gonna come out and try to show that in my team workouts.”, Mezu said. The Lakers are bullish on what Thomas Bryant can bring to the table, perhaps as soon as next season, but Metu could be an intriguing option that provides a degree of defensive agility that the Lakers don’t have at the center position. Trier (22 years old, 6’5″, 205 lbs, 6’6″ wingspan) is a bucket-getting wing, who averaged 18.1 points per game for the Arizona Wildcats in his junior season. He has a fairly advanced repertoire as a scorer, contributing from all three levels as well as at the free throw line (86.5%), en route to a blistering 65.4 TS% on 23.9 USG%. There are questions, however, about where he can positively impact the game outside of his scoring ability. Cody Martin (SG, Nevada), D.J. Hogg (SF, Texas A&M), and Lindell Wigginton (PG, Iowa St.) completed the group, with Wigginton as perhaps the most intriguing of the three. He was the youngest of the six players who worked out on Thursday (20 years old), and also the best athlete amongst the perimeter players. He’s a bit of a shooting guard in a point guard’s body (6’2″, 188 lbs), but has a scorer’s instincts, and possesses some tools that could be cultivated in the G-League. Neither Martin nor Wigginton have signed with an agent, so they have until June 11th to decide if they want to return to college.